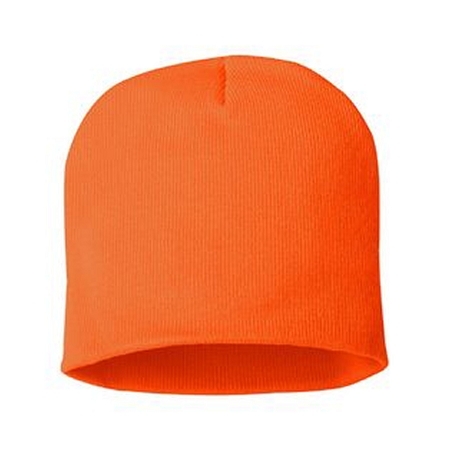 The Big Size Blaze Orange Knit Cap is Great for Hunters, Road Crews, or anyone who needs to be seen and stay warm. This knit is deeper than the average cap, but does not have a cuff. You won't be disappointed with this warm beanie for the cranially endowed! I wear this all time...around the house, to the gym, out in town. I will also say that the "no cuff" feature is great for me since I wear glasses. I've found other knit hats with a cuff tend to create a bit of pressure on sides of my glasses and press them into the side of my head over time. The "no cuff" feature here is very comfortable and keeps me both stylish and comfortable in the cold weather. The fit is great, the hat is comfortable, and once again Big Head Caps keeps me looking even more handsome than normal! Wore this over my Big-Head mesh cap when it got cold. Large enough to cover the top portion of the cap and come down over my ears. Great product!! 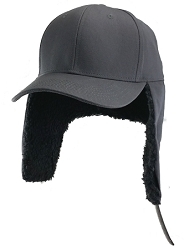 The standard hunter's cap doesn't do much to keep you warm. This cap feel great on cold mornings. In case you are wondering why it does not have the traditional cuff, I assume it is to keep from muffling sounds in the woods. Definitely worth the money! Finally, a knit hat that doesn't feel like a stretched out rubber band on my forehead! Thanks, BigHeadCaps!